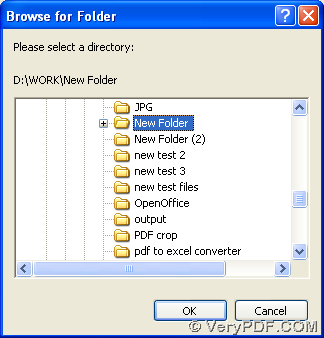 First of all, please download installer of HTML Converter, then if you want to install HTML Converter, it is convenient to double click this installer and follow setup wizard step by step till HTML Converter is installed on your computer successfully. Click “setting” on GUI interface > hit tab “Base Settings”, then on setting panel, please click “.pcx” on dropdown list of “output format”, at last, one click on “ok” there can help you save your setting. 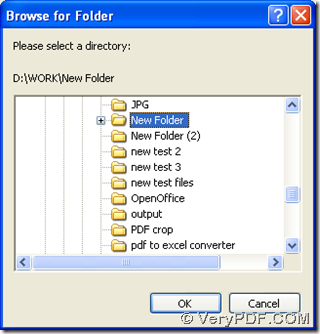 Click “start” on GUI interface, then a dialog box named “browse for folder” can be popped out, and you need to choose one folder as targeting folder, finally, along with one click on “ok” button of dialog box, HTML Converter will help you produce PCX file within several seconds. 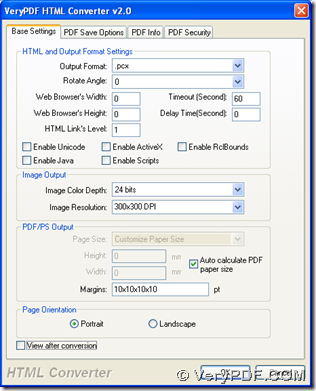 How to print html to pcx? 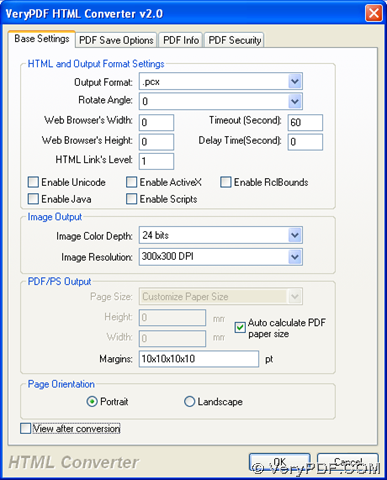 This entry was posted in VeryPDF Blog and tagged html to pcx. Bookmark the permalink.